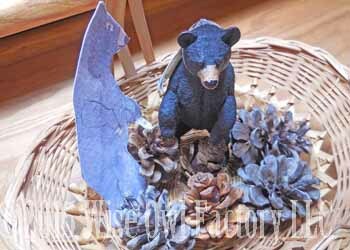 This new standing black bear figurine shows the black bear can in fact be biped. 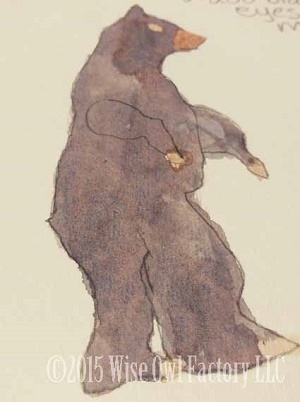 These bears are factulative bipeds, meaning they can only walk for a short time. 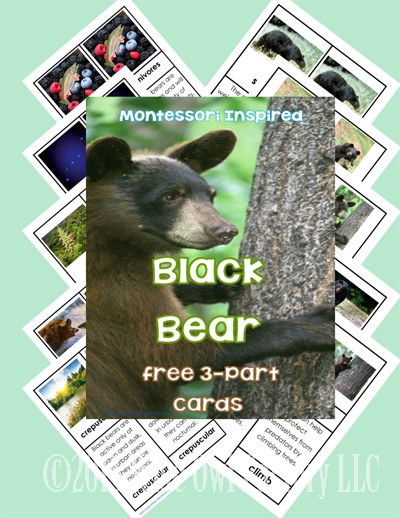 Younger children may want to imitate the bear as they enjoy and learn through movement and action. 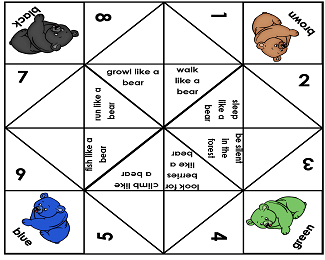 So the first printable is a chatterbox (also called fortune teller or cootie catcher) where the words revealed tell which action the child should do such as walk like a bear, run like a bear, and so on. 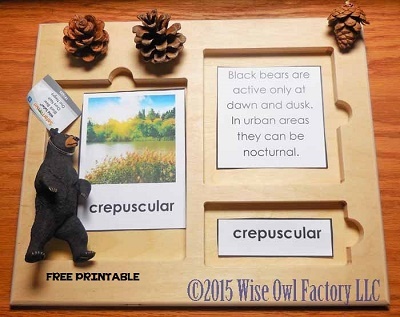 This is a link to the free printable which opens right here black-bear-fortune-teller or click on the photo below to download your copy. Directions for folding and using the chatterbox will open at this link. In the photo below you can see the 3-part cards printable in use. 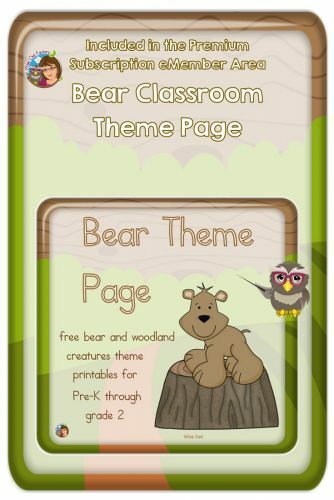 Be sure to also check out our free eMember bear theme page of resources. What I like about the figurines is they can be used in a wide variety of educational lessons. 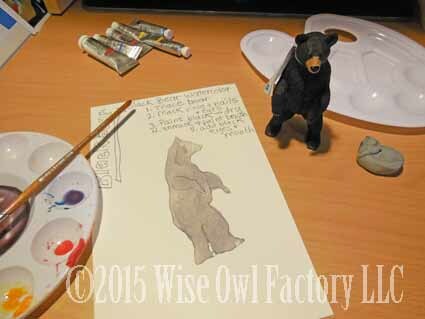 Although I am not an artist, I am going to attempt to demonstrate how this figurine could be used for a watercolor painting activity. 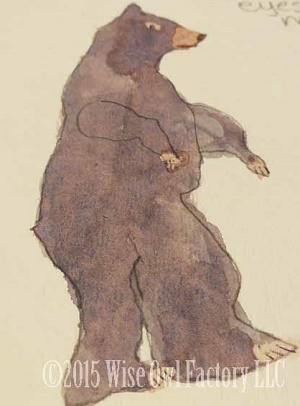 “Bear” with my attempt at this art project, please. First, the bear could be traced from a number of angles. I put the bear on its side so there was some action. I want people to know tracing is not cheating and it is what I learned to do in my botanical watercolor class. 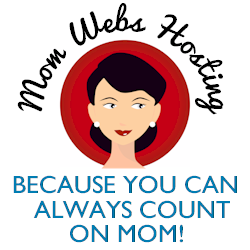 Children feel tracing should not be done, either, but it is how we learn and practice. The lines are erased at end, anyway. If children become upset about painting outside of the lines, either quickly use a damp paper towel and wipe up the paint, or let them know the lines will be erased. 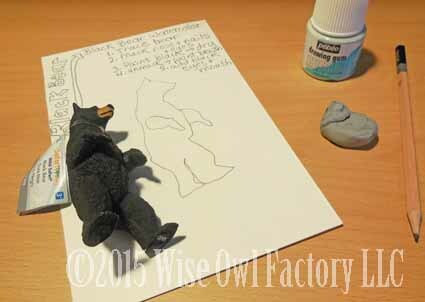 Second, use masking glue to white out the nose, eye, and claw areas on the bear. That way if paint travels into those areas, no damage is done. Yes, we do this in adult watercolor classes, too. See my limes at the end of the post for proof. Now, a first layer of black is painted over most of the bear. In my watercolor class we only use six colors to create all the colors involved in botanical painting and I actually am not great at making black. This way you can still see the lines, however. Using other paint sets only one layer of black may be required. 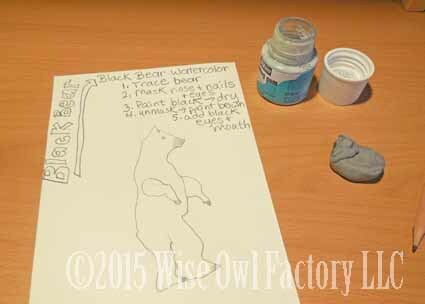 I did not try the highlights and low lights on this bear as most children will just fill the space with one black color. The dolphin art at this post did consider light. 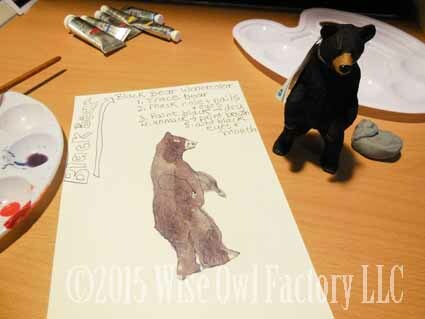 I then added a second layer of paint to make the bear look darker. Now, the masking glue is rubbed off and those areas are painted brown. Oh, a little scary looking! The painting looks much bigger here than it actually was. I used black pen to add in eyes, nose, mouth, and claws. A sharpie could be used, instead. The final step is to erase all the lines. The bear could be cut out and added to a habitat or play scene. I already want to try painting it again when I have time, perhaps from another angle. 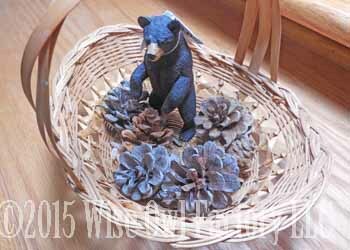 The finished and cut out bear was added to standing black bear’s basket. 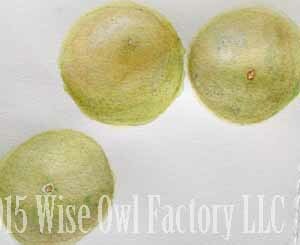 These are my limes from painting class, and you can see where masking glue was useful. And yes, we traced the limes in class.